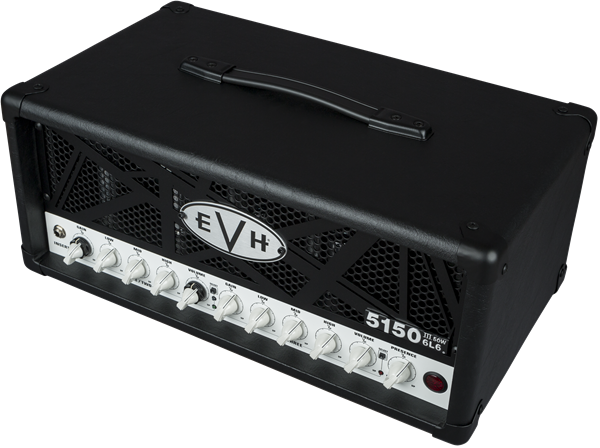 With its smaller size and portability, the EVH® 5150III® 50W 6L6 Head is the perfect amp for players who want arena volume and performance in a compact package. Three channels of road- tested sound work for any playing style— crisp cleans, raw crunch or searing leads, while newly added independent dual-concentric controls allows for gain and volume level matching. This 2.0 version of our popular 50-watt head delivers a full-spectrum of tone — channel one powers crystal-clear clean tone, channel two ranges from chunky overdrive to tight distortion, and channel three oozes with liquid gain. Channels one and two each have dual concentric gain/volume controls, with shared EQ (low, mid, high). Channel three has its own gain, volume and EQ (low, mid, high) controls. All three channels also have global presence and global resonance controls. This amp head also includes selectable impedance (4, 8 or 16 ohms), dual parallel speaker output jacks, effects loop, headphone jack, line out and a four-button footswitch with 1/4” input jack and MIDI input. Loaded with pure EVH sound and power, the EVH 5150III 50W 6L6 Head is wrapped in Black or Ivory textured vinyl and features our instantly recognizable black EVH-striped steel grille. A high- quality fitted cover is available as an EVH Accessory. Included Accessories: 4-Button EVH® 1/4" Footswitch. 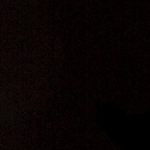 Ch1, CH2, CH3, Effects Loop.